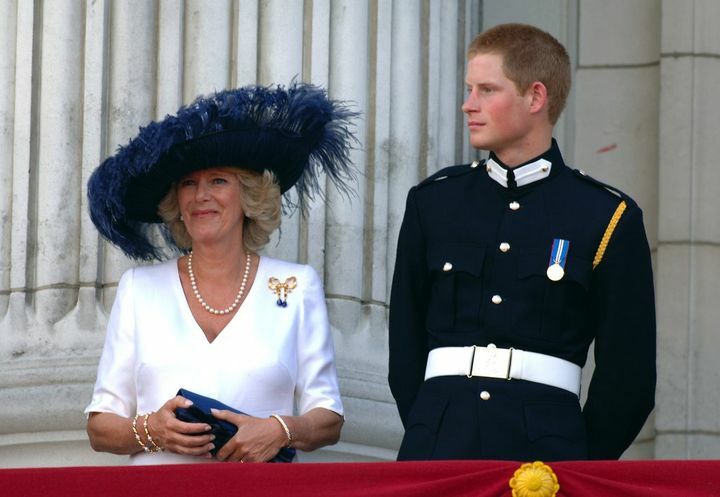 When Camilla Parker Bowles married Prince Charles in April 2005, she not only got a husband but also expanded her family. 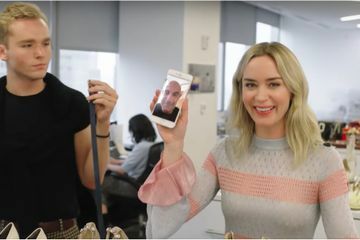 Camilla shares daughter Laura and son Tom with ex-husband Andrew Parker Bowles, and Charles has two sons, Prince Harry and Prince William, from his marriage to Princess Diana. 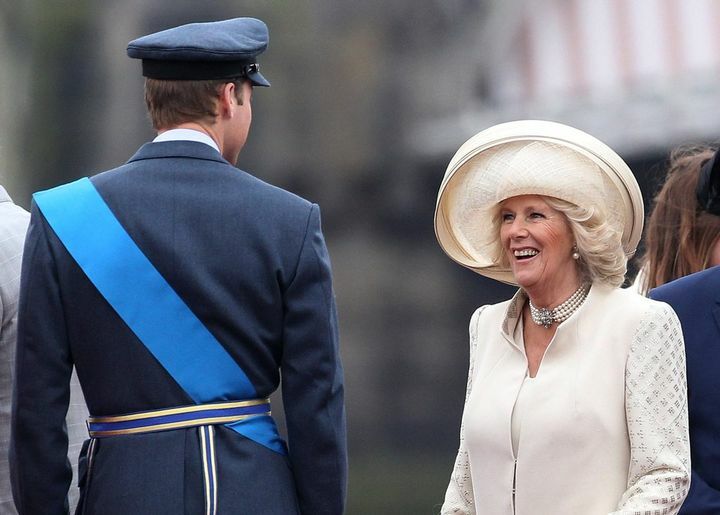 The royal family often attends official events together, and while Camilla doesn't seem to have as much fun with William and Harry as she does with Kate Middleton, it appears the brothers have certainly accepted Camilla as their stepmother. 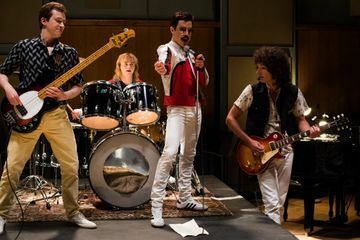 Read on to see some of their best moments together. 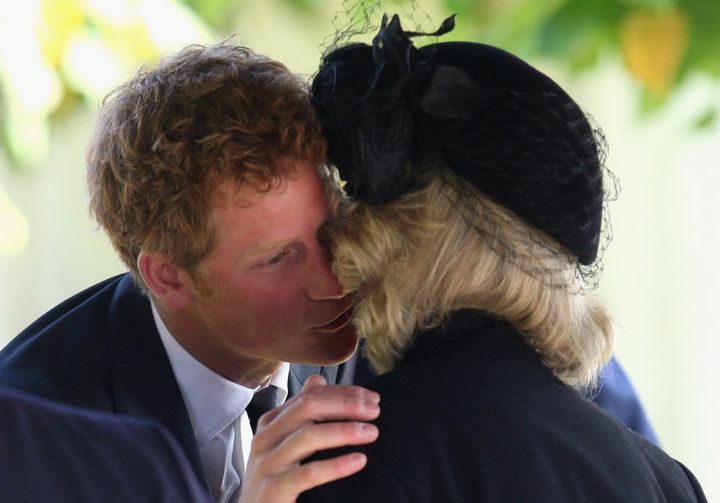 In October 2008, Harry greeted Camilla with a sweet kiss on the cheek at a Thanksgiving service held at England's St. Mary's Church. 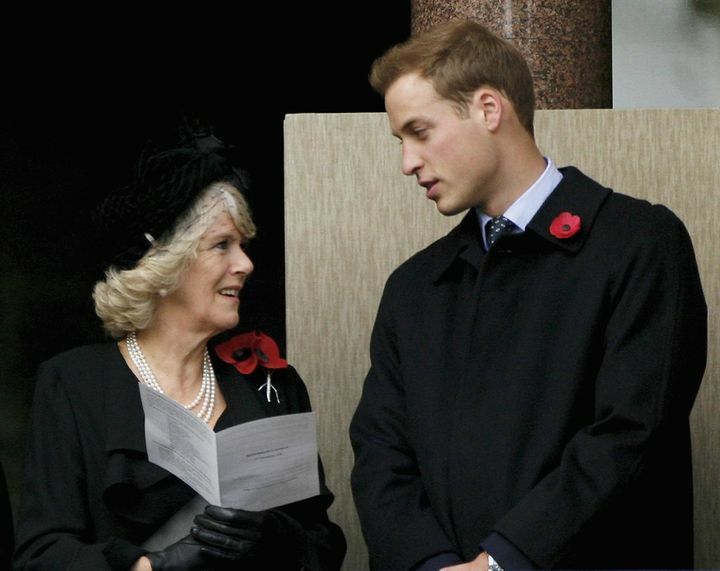 Camilla and William proudly wore matching red poppies as a symbol of remembrance and hope during the Remembrance Sunday service at The Cenotaph in London in November 2006. Camilla, William, and Harry celebrated 30 years of The Prince's Trust at a star-studded concert at the Tower of London in May 2006. 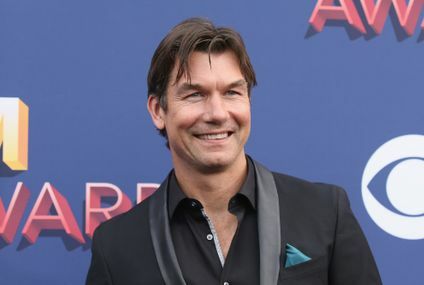 Camilla flashed a sweet smile at William upon arriving at the unveiling of the queen mother's statue in London in February 2009. 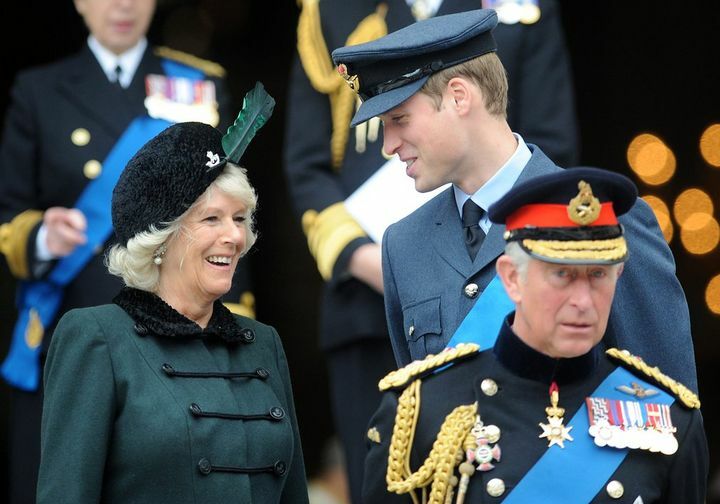 In June 2012, Camilla and Harry were front and center for the annual Trooping the Colour parade at Buckingham Palace. William greeted Camilla with a kiss during the Burberry Cup in England in June 2005. 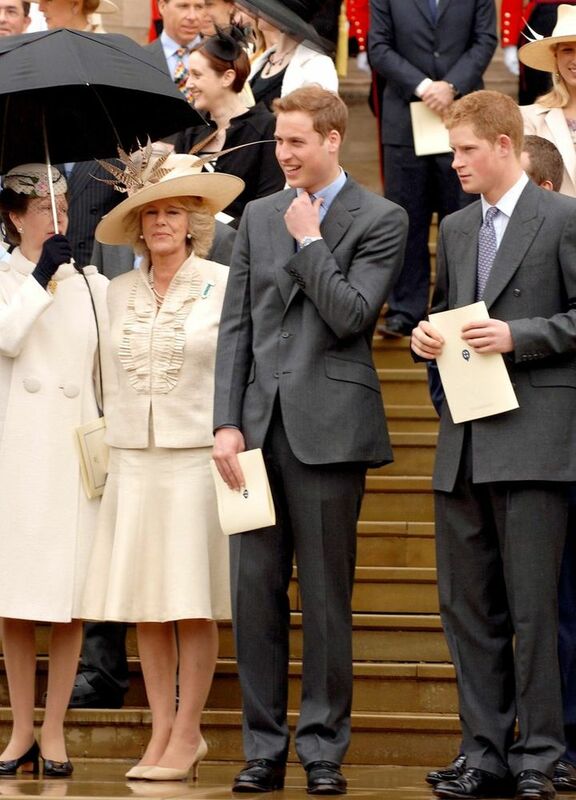 The trio stood together on the steps of St. George's Chapel following the Thanksgiving service for the queen's 80th birthday in April 2006. 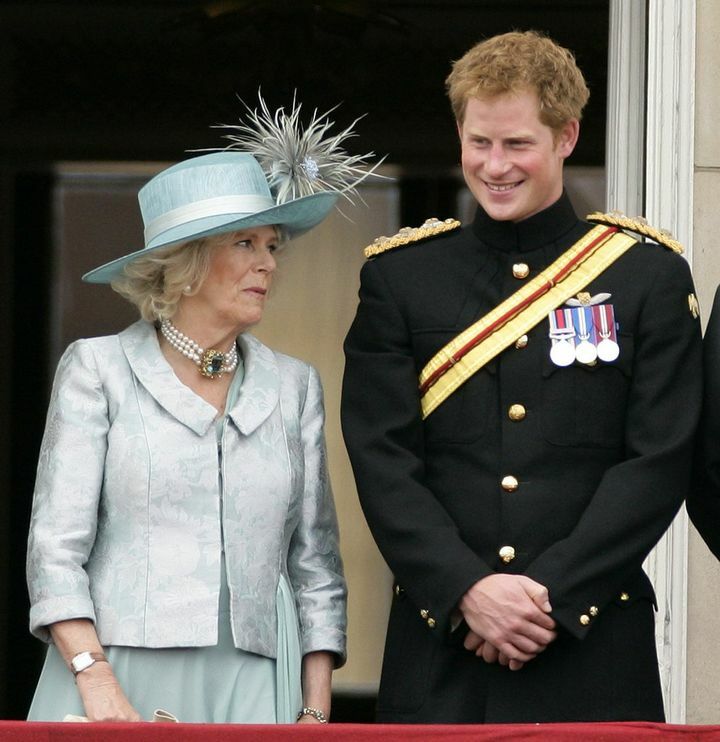 Camilla and Harry watched the flypast from the Buckingham Palace balcony during National Commemoration Day in July 2005. 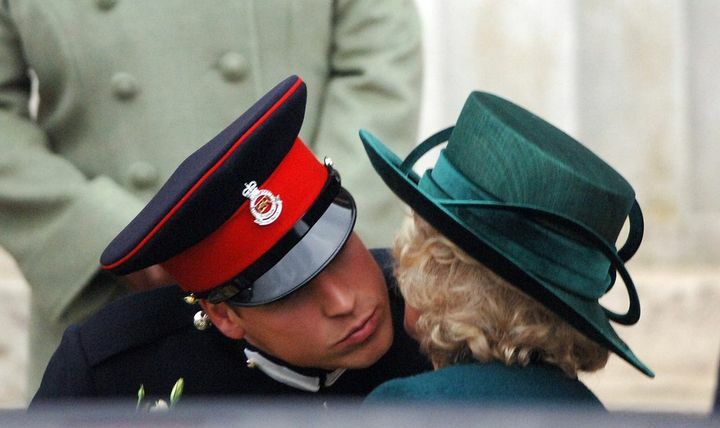 In December 2006, William kissed Camilla goodbye after the Sovereign's Parade in England. 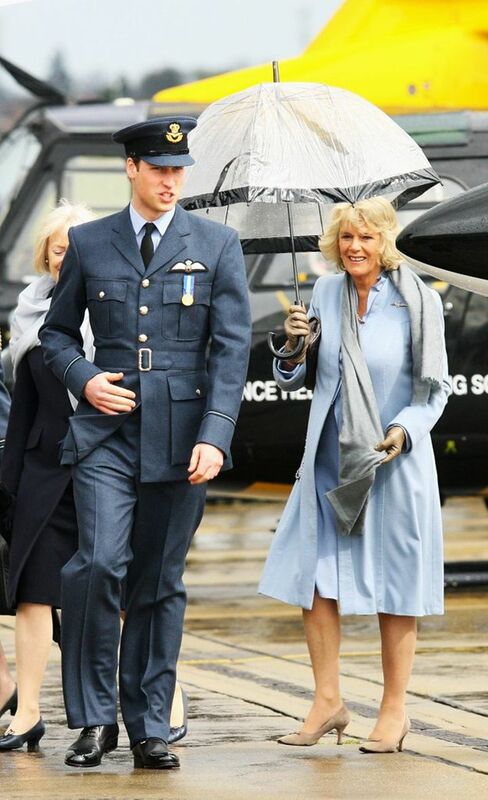 William and Camilla braved the rain during his RAF graduation ceremony in England in April 2008. 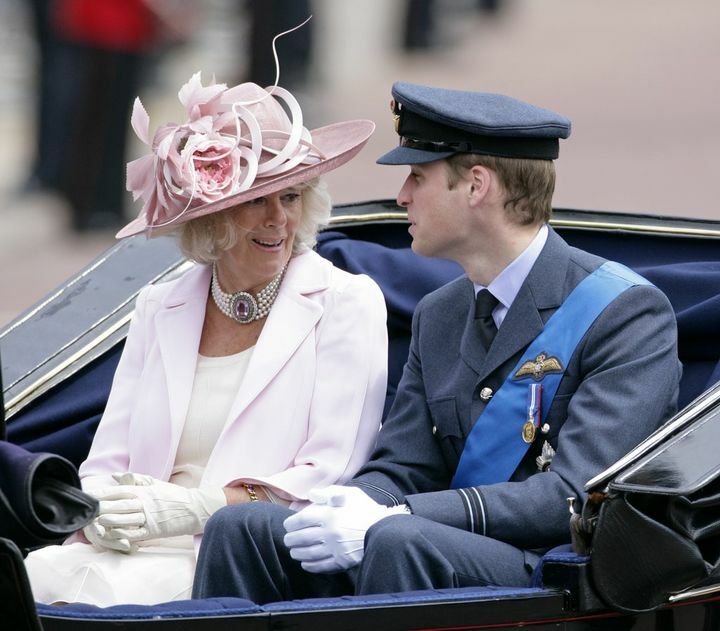 In June 2008, Camilla and William traveled together in a horse-drawn carriage during the Trooping the Colour parade. William and Camilla walked together during the National Commemorative Service for the anniversary of the Battle of Britain at Westminster Abbey in September 2010. 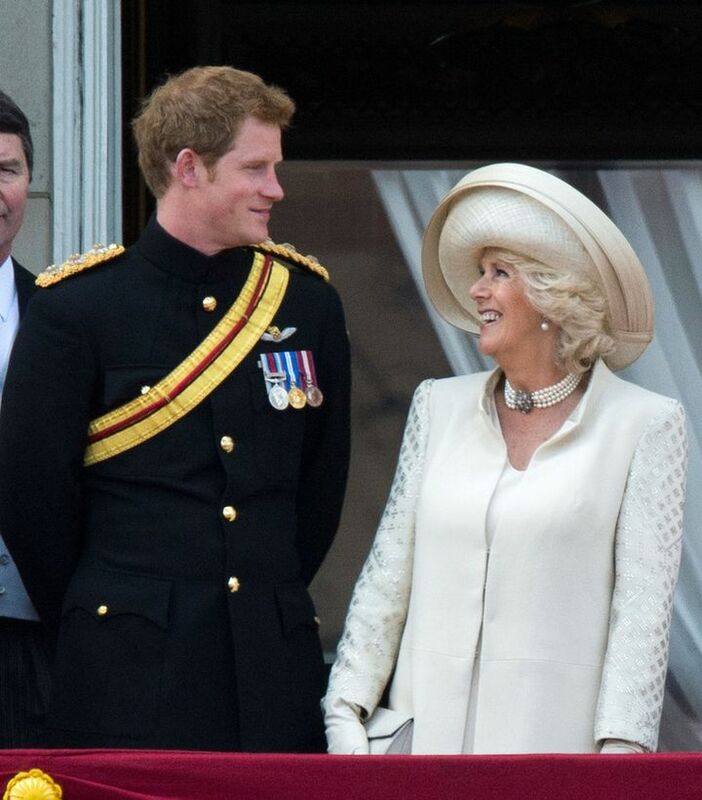 Harry and Camilla exchanged sweet glances during the annual Trooping the Colour parade at Buckingham Palace in June 2013. 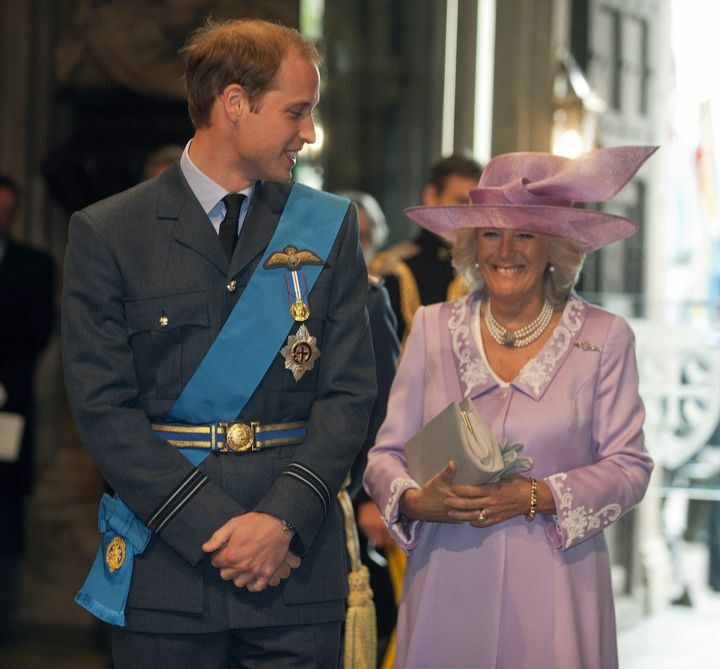 William had Camilla grinning from ear to ear at a commemoration service at London's St. Paul's Cathedral in October 2009. 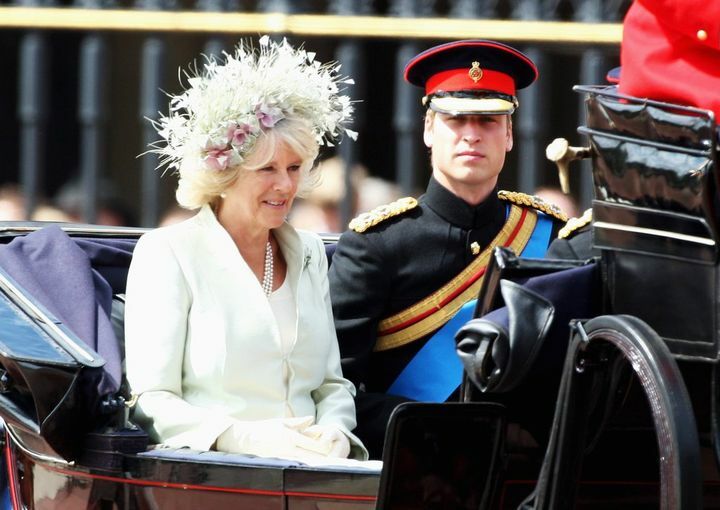 Camilla and William chatted as they rode in a carriage during the Trooping the Colour parade in June 2010. 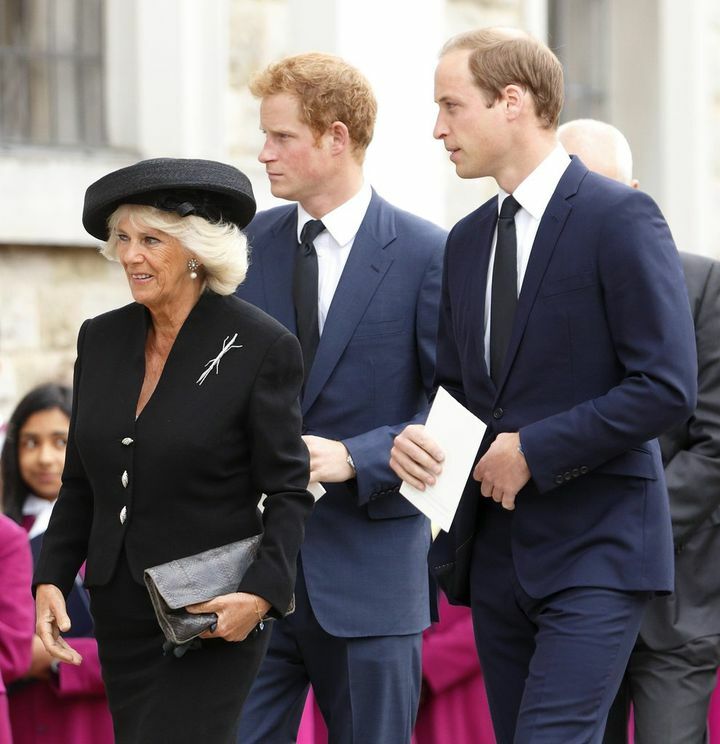 In September 2013, Camilla led the way for Harry and William at a requiem mass for the late Hugh van Cutsem in England. 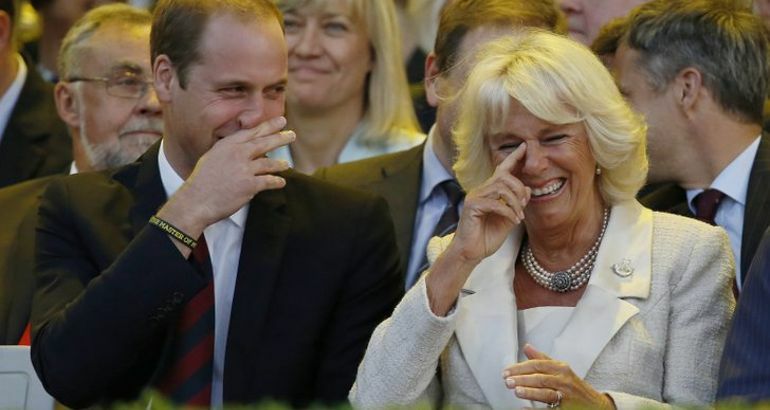 William and Camilla shared a joke during the Thames River pageant in London in June 2012. 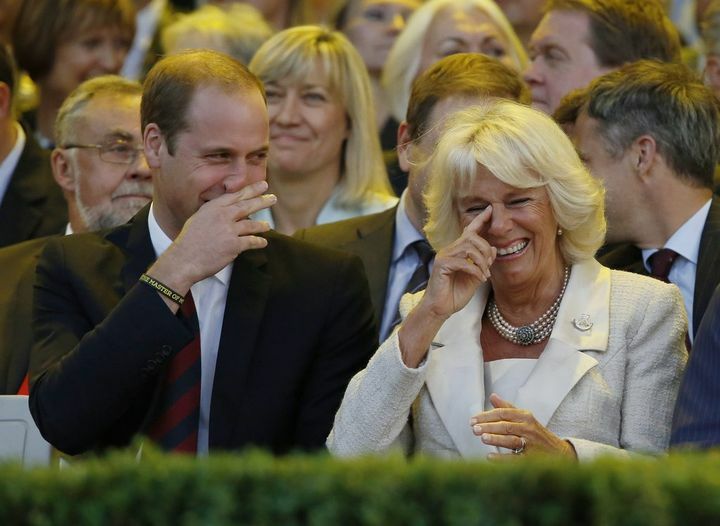 William and Camilla could hardly contain their laughter during the opening ceremony of the Invictus Games in London in September 2014. Camilla and William were all smiles during the 2018 Commonwealth Day reception at London's Marlborough House in March. 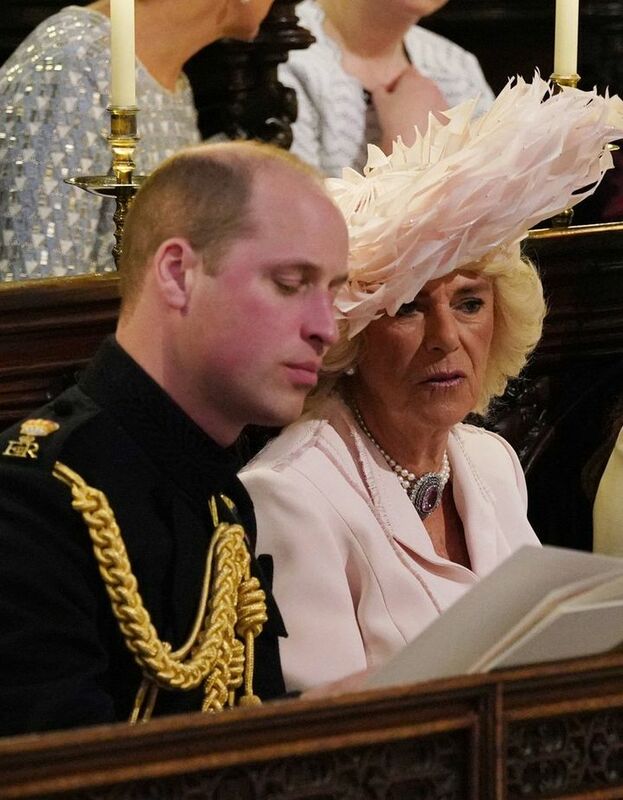 William and Camilla sat together during Harry and Meghan Markle's wedding in May 2018.